Ah, spring. The time when nature starts to come alive again, people emerge out of hibernation mode, and a certain cheeriness starts to seep in. When winter finally (finally!) starts to let up and temperatures rise, I can't wait to first, get outside and enjoy it, and second, infuse a little springiness into our home. 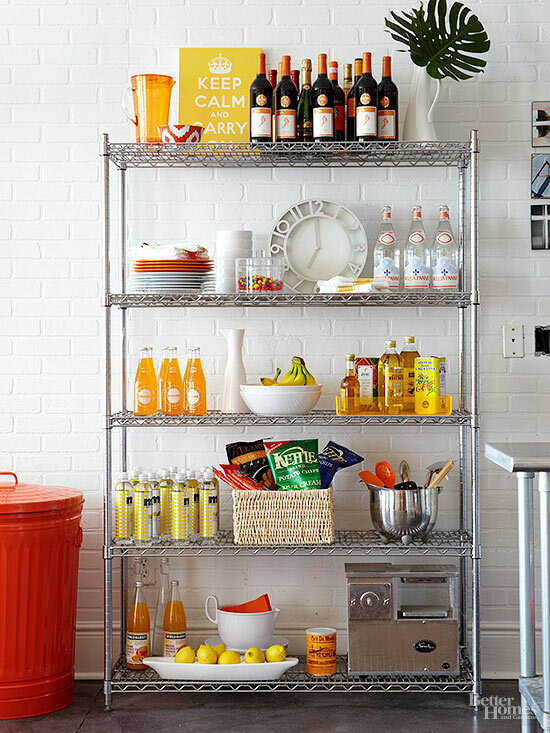 Spring has me craving pops of color in almost any form - even with food labels in the kitchen (see the example above?). I wouldn't exactly classify myself as a seasonal decorator, but I do like to change things up around our home periodically. This year, winter had me loving a neutral, calm palette with lots of whites and subtle metallics. Now it's time to bring back the color! I'm sprucing up our house a bit so I can take some photos for a spring house tour that's coming up in a couple of weeks (details to come! It's going to be a whole lot of fun and a whole lot of eye candy...). 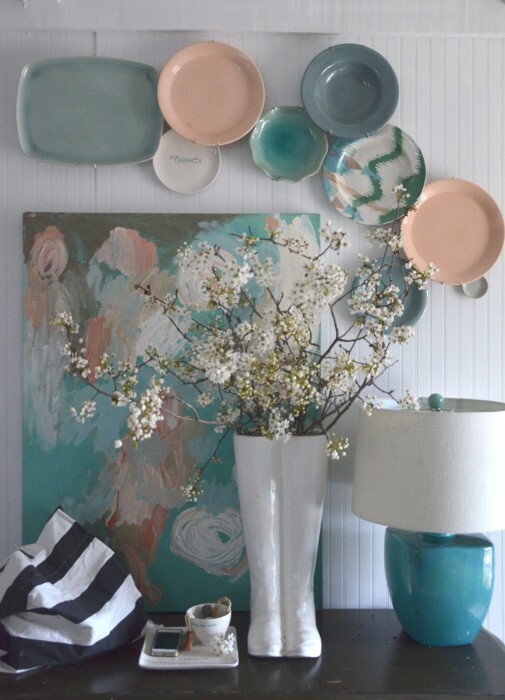 Here's my take on "spring decorating": there's no need to drastically change anything in your home to bring in that feeling of freshness that comes with this new season. 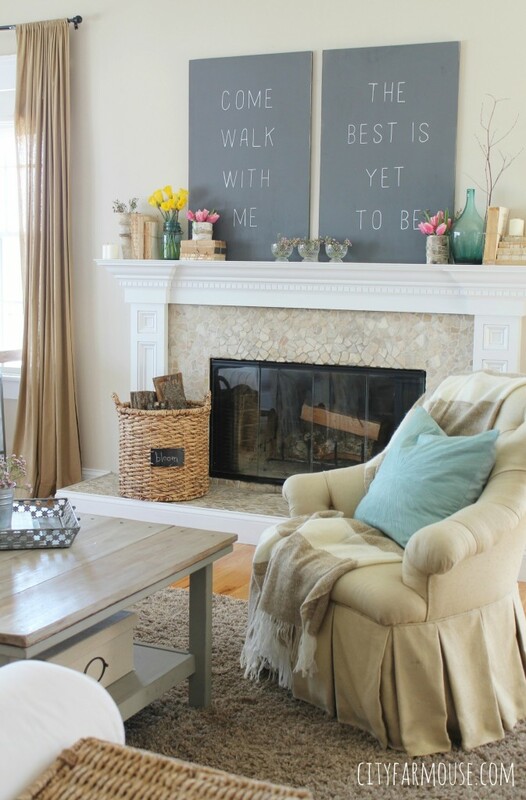 To me, it's more about changing up the smaller things in your home like accessories, pillows, art, etc. You might not even need to make any purchases - dig through those drawers, raid your fabric stash, and check what you have in storage to make those little changes. I'm all about using what you have! 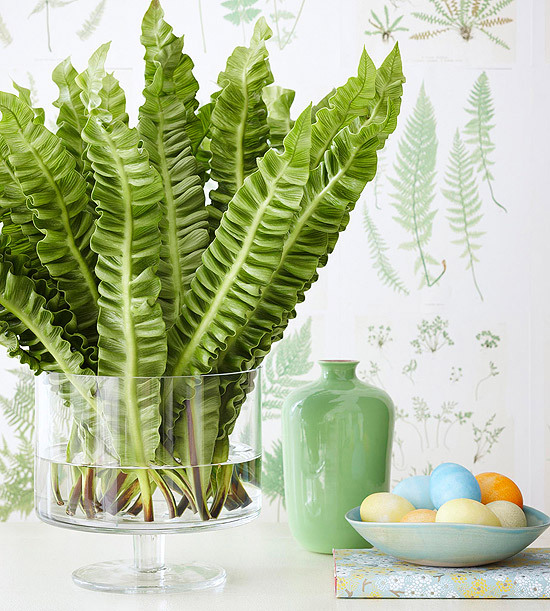 This is how you can decorate seasonally without breaking the bank. Get creative! 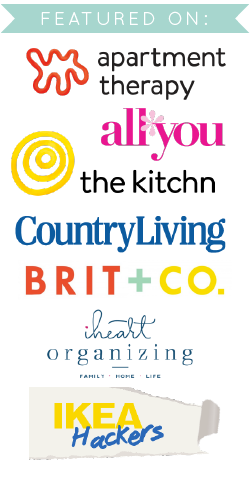 Is there something in your home that is looking a little tired and could use a makeover? Instead of getting rid of it, try painting it! 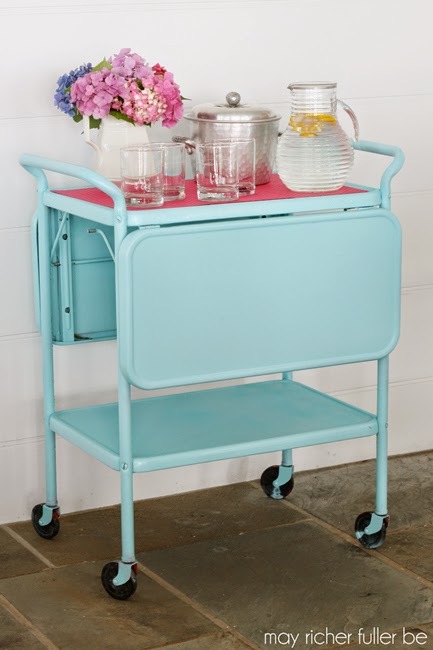 Small pieces of furniture can go big on color without overwhelming the room. They're also quick, do-it-in-one-afternoon projects. A great example is this chair in the photo below. Why not make it pink? 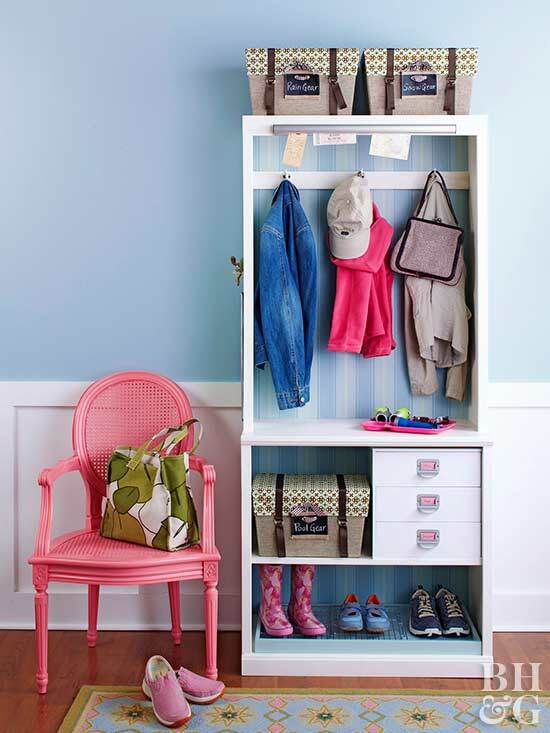 It's a perfect pop of color for this entryway. Whether it's real or not-so-real (like paper flower branches), bringing plants, branches or flowers into your home is a natural (punny!) way to welcome spring. I even made a special trip to Trader Joe's last week to pick up some tulips, and I can't tell you how happy they made my home feel. It's the little things :). P.S. Where do I find some of those awesome palm branch thingies?! 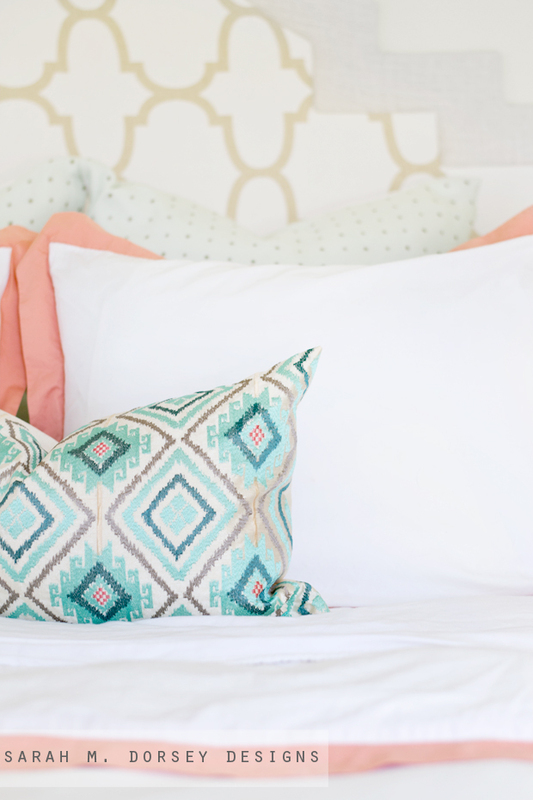 Pillows are one of the most affordable and fun ways to change a room. You can go as trendy as you want and step outside of your comfort zone since they're something you can easily change out once you get tired of them. Your wallet won't be too mad at you, promise :). I rounded up some of my favorite pillow finds at H&M a few weeks ago if you're in the market for some new ones - it's a super inexpensive source for fun pillows. Especially abstract art. This is another affordable way to add color to your home. Grab a canvas at a craft store (with a coupon of course), a few paints from your stash (I know you have one...) and go to town. You really can't go wrong here. My only piece of advice? Don't get overzealous with your paint mixing or your canvas will end up being a muddy brown mess. Or, if you're feeling less than confident about your painting skills, frame up some new art. 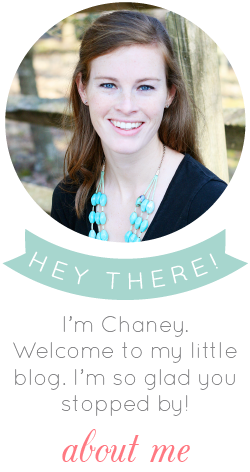 Change up what you have in existing frames with free printables, magazine tear outs, or inexpensive art from Etsy. The possibilities are endless! 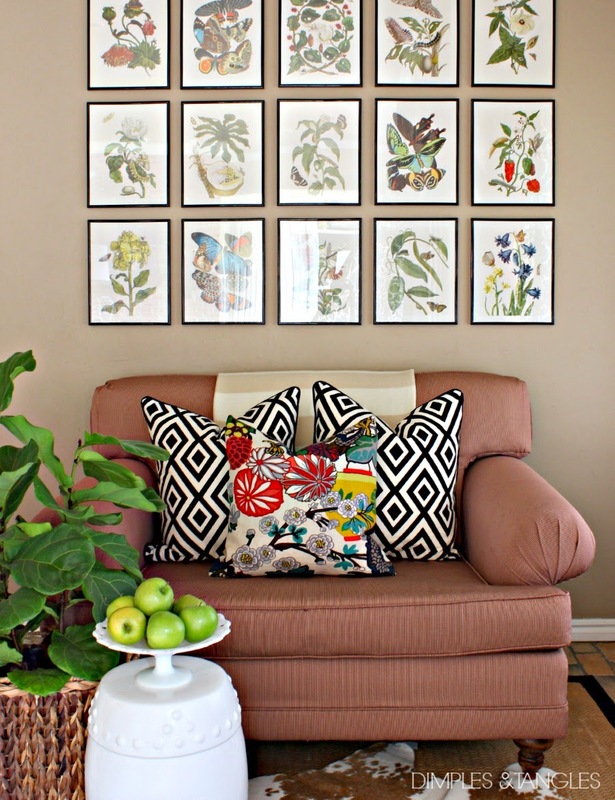 I love the gallery wall in the photo below. That's all I've got for you! 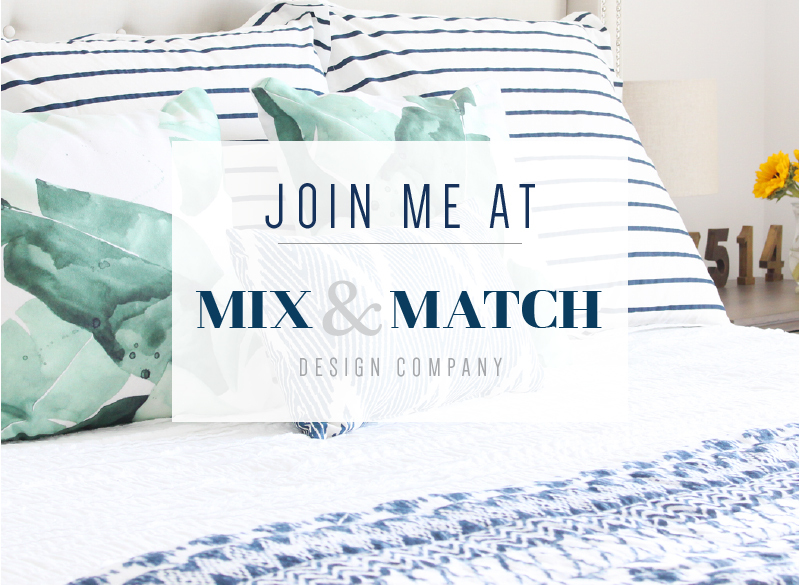 I hope you're feeling inspired and ready to change up your home a bit for the spring season. Now enough inspiration hunting...I've got to get down to decorating!